There is something special about sleeping under canvas, whether you are new to the experience or if you are reliving the fun times you had as a child. You can feel yourself unwinding and recharging your batteries as you enjoy yourselves with family or friends. 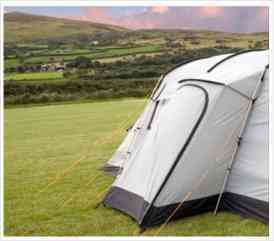 The sites on Stay Wales are welcoming and set in a diverse range of countryside . One of these is just waiting to become your favourite! We are the fourth generation of the family to farm at Plasyngheidio. The cattle, sheep and horses keep us busy, as well as tending the crops on the farm. Harvesting takes place in September, and February is a busy time for lambing. 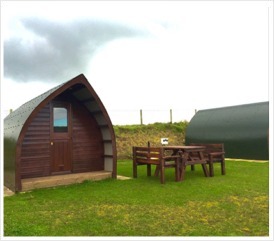 2017 is an exciting year for us as we open our new Touring Caravan Site and Pods. We look forward to making you feel at home and we will do our best to make your stay comfortable and enjoyable. 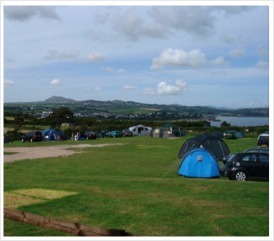 We are a small family run Caravan and Camping Park, situated along the beautiful LLeyn coastline in a picturesque setting right in the heart of the Lleyn Peninsular making it ideal for a touring holiday. 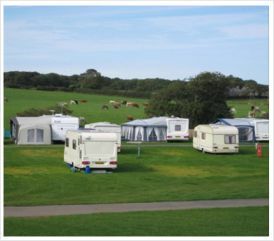 The Park extends to 3 acres of level to gently sloping pitches which are well spaced providing both caravan and camper with an enjoyable stay and greater privacy. The Park is sheltered, peaceful and tastefully landscaped and located in an area of Outstanding Natural Beauty. 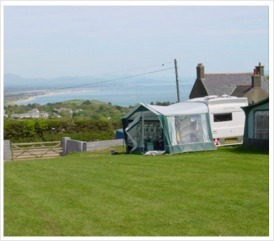 Twnti and Bethan welcomes you to a brand new Caravan site in prime location situated just a few minutes from Nefyn and Morfa Nefyn's wonderful beaches and enjoying beautiful rural views towards Garn Fadryn. 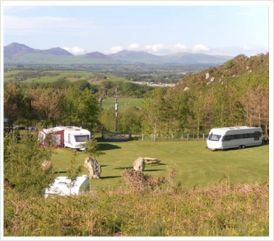 This is an ideal base for you to discover and enjoy the delights of the Lleyn Peninsula, Snowdonia and North Wales. As well as the famous Ty Coch Inn on the beach (approx. 2 miles from the site), the Nefyn and District golf course where 'you can see the sea from every tee' is situated in the village. Crugan's peaceful location is ideally suited for walking to either Llanbedrog or exploring the Lleyn Peninsular headland. 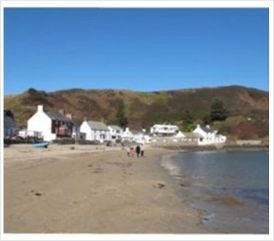 The bustling village of Abersoch is 2.5 miles away and can be accessed by car or along the coastline. Golf, pony trekking, go-carting, archery, sea fishing trips, historic castles, slate and copper mines, steam trains and craft centres; there is so much for everyone to do and it is all within a short drive from Crugan. The local shop can provide all your grocery requirements and the local pubs are renowned for their excellent food and family atmosphere. 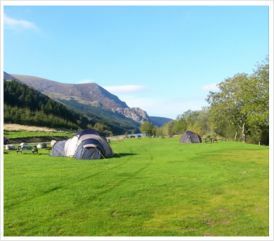 The campsite overlooks Cwellyn Lake and has spectacular uninterrupted views towards Mt. Snowdon and Mynydd Mawr with various forest walks on it’s doorstep. The river Gwyrfai runs alongside both fields to Cwellyn Lake. We are a traditional mountain campsite, wild and wonderful (get back to nature with the birds and the bees and the bears).We feel that a campsite is not a real campsite without a camp fire. We have, therefore commissioned numerous specifically made fire pits (on sleds) for campers use. 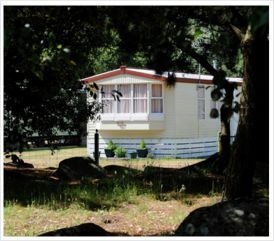 The two acre caravan and campsite has electric hook-ups and there are some hard standing pitches available. Amenities include 1 utility block with washing machine, washing- up sinks and 2 toilet / shower and wash basin blocks together with a chemical toilet waste disposal point. There is a small children's play area and covered area for barbecues on the site. We are located in a truly tranquil area on the beautiful Lleyn Peninsula, providing our guests with an excellent location to explore this naturally beautiful part of North Wales. We are 1.5 miles from the beach at Llanbedrog, and 3 miles from beautiful Abersoch, which is a renowned for it's beaches, water sports and golf.